Once you have a sales call set up and confirmed, you have everything you need: the person, the initial interest, and the agreed upon time. Right? 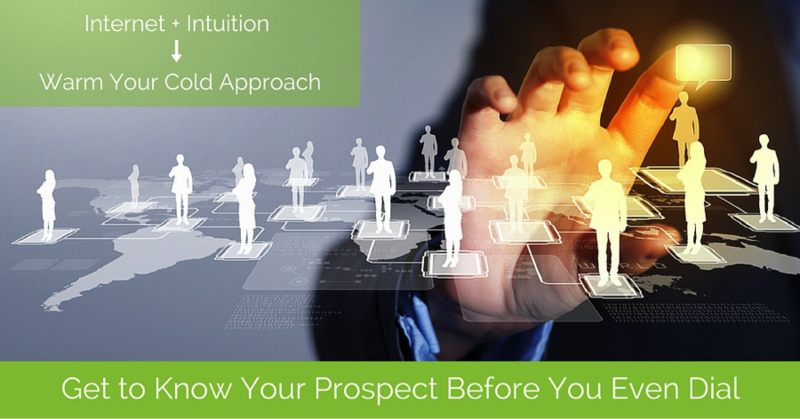 To do right by your prospect, you need to track down the info below before you dial. This pre-call ritual will help you deliver the most value and keep their attention. Quickly scan to see the lead source. If your prospect has engaged with your marketing content in the past (landing page visit, eBook download, webinar sign-up, etc), you can reference this on the sales call. Also look for notes on past interactions with other sales team members and what (if anything) happened. 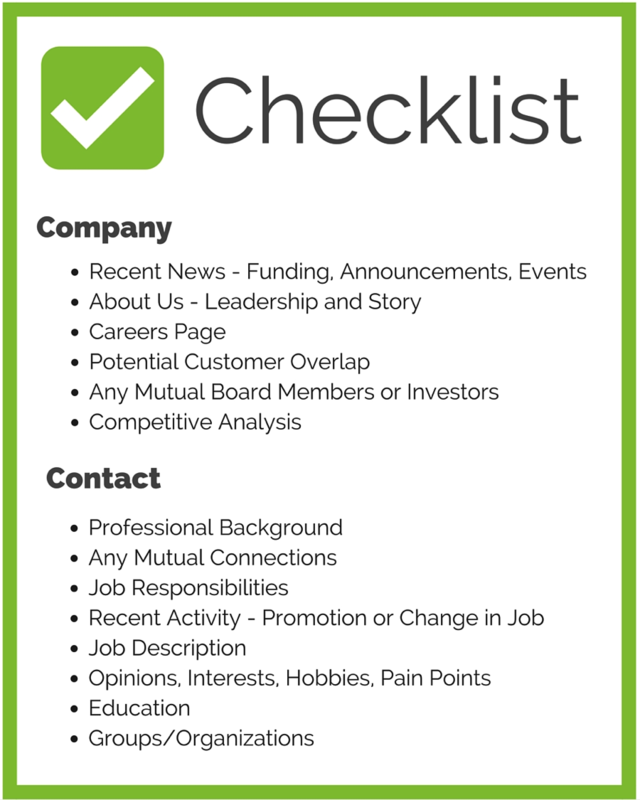 About Us page: Keep an eye out for mutual acquaintances (investor, board member, or even mutual customer) that you can reference on your sales call. If your prospect hears that someone they know trusts your company, they’ll be more likely to give you the time of day. That’s the power of social proof. Careers page: Open job listings will often include what software the company is currently using and the pain points they hope to fix with a new hire. Can your offering help them with these pressing issues? News section: Look for triggers or action events that align your offering with the company’s immediate needs. Not only is it an excellent conversation starter, it also shows that you’ve done your homework, which is psychologically proven to make people more motivated to help you in return. Blog: Don’t spend too much time here—just a quick scan to see what the company is talking about and if your prospect is actively contributing. First, check his/her LinkedIn profile to see if you have any mutual connections. Executives (who are often your decision makers) respond positively to referrals 84% of the time. Complimenting personal accomplishments during a sales call creates subconscious, positive attitudes of you and your company. In fact, recent research shows that even when prospects are aware of flattery being used as a sales tactic, they are still left with an implicit positive impression. Similarities draw people together — especially in B2B buying decisions. Sharing even a coincidental similarity with your prospect, such as having the same first name or having attended the same school, can increase his/her willingness to buy from you. If your contact is a member of a group related to what your company does, Google ‘Contact Name’ and ‘Group Name’ to find speaking engagements or events participated in. If you then search the podcast name with Matthew’s name, you can actually access the podcast (below) and listen to a minute or so. You can point to public engagements like this on your sales call as a way of showing you know your prospect. To better understand where your product or service fits in with your prospect’s team as a whole, perform an advanced LinkedIn search. Depending on company size, you might find the entire team right there in your scroll. Find accounts for both your prospect and the prospective company to give you intel for your sales call. To find your contact’s personal profile, type the company handle into the ‘Search Twitter’ bar. Instead of pressing Enter, choose the ‘Search all people’ query to see a list of all employees with the company’s handle in their bio. Perform a quick gap analysis to understand the challenges and goals of your prospect. No doubt, he/she is hard at work catching up to competitors in some areas and staying one step ahead in others. Find areas for growth and flag them. This info will help you to outline how you can improve your prospect’s efficiency at daily to-do’s and longer term objectives. During your sales call, use it to give objective suggestions without being condescending. To find your prospect’s competitors, Google: ‘company name + competitor’ or, if you sell to tech companies, try G2 Crowd. You can also use the free tools below. Crunchbase – Access information on acquisitions, funding, investors, board members, founders, products, competitors, upcoming events, and more. Datanyze Insider – Download the free browser extension for one-click access to revenue, number of employees, tech providers, social profiles, Crunchbase account with funding. Ghostery – This free browser extension allows you to see the marketing and advertising vendors that a company works with on the back end. Datafox – Create a free log-in to pull startup stage, total funding, employees, general info, conferences, and industry competitors. 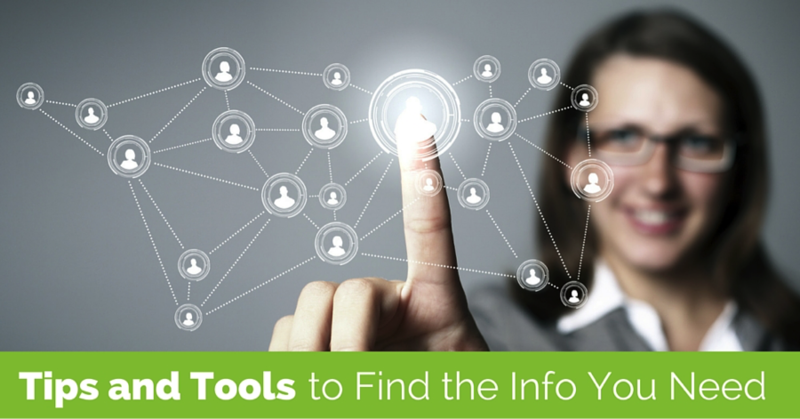 InsideView – With a free 7-day trial you can access a company overview, family tree, and buzz. Discover.org – If your customers are in Marketing, IT, or Finance departments, set up a free account to access data like organizational charts for your prospective companies. Failing to do research comes across as a selfish sales pitch. No one wants that. Personalize your call to create credibility and to power your persuasiveness. An informed dialogue cultivates open, honest conversation that leads to true consideration as a vendor.